See a holiday themed movie at one of the local theaters – always open on holidays! Ice skate in Bryant Park’s Winter Village, Central Park’s Wollman Rink, or the iconic Rockefeller Center Rink under the tree. Go visit the Bryant Park Winter Village shops for trinkets and holiday themed ornaments. Or the shops at the Columbus Circle Holiday Market are always a good bet! Enter your children in the Long Island City YMCA Kid’s Turkey Dash, the Turkey Trot in Prospect Park or the Pilgrim Pedal, a bike ride leaving from 23rd street. Go see the Rockette’s perform the Radio City Music Hall’s Christmas Spectacular. Visit the Lego store at Rockefeller Center to see all the exotic creatures made from lego pieces and figurines. Go get a frozen hot chocolate from Dylan’s Candy Bar to celebrate the season! Go on a Holiday Lights Walking Tour and see the giant ornaments and decorations throughout the city. Take the kids on a carriage ride or walk through Central Park to see all the sculptures and secrets the park has to offer. 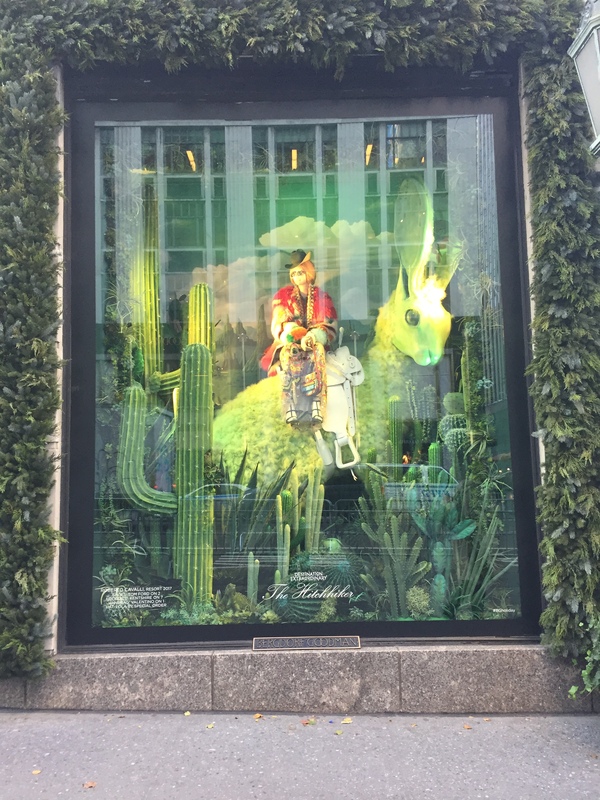 Check out the holiday window displays of Bergdorf Goodman, Lord & Taylor, Macy’s, Tiffany’s and more. Go to the playground and have the kids burn off energy and all that turkey. Visit the Central Park Zoo and make friends with all the furry animals. Go on a family bike tour and stop to visit the Natural History Museum or the Met on the way and make it an educational holiday. Or rollerblade through the park to burn off the Thanksgiving feast, especially while it’s so nice outside. Attend the new exhibit at the Taylor Swift Experience, which debuts at 19 Fulton Street in the South Street Seaport on the 19th. Go see the live Alton Brown show: Eat Your Science at the Barrymore Theatre through Thanksgiving weekend. Go to Brooklyn to see the Dyker Heights Holiday Lights that give the Rockefeller Tree a run for its money. Volunteer at a Soup Kitchen or with the New York City Food Bank with the kids. See a Broadway show with the kids – Matilda, School of Rock and Disney on Ice are still playing during the holiday season. 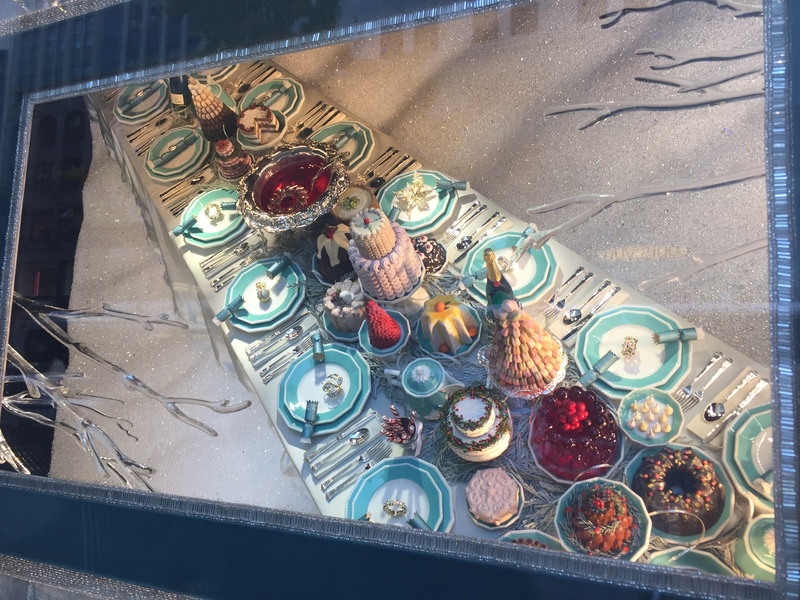 Top photo is a Thanksgiving feast in the Tiffany & Co. window on Fifth Ave. Bottom photo is one the holiday window displays at Bergdorf Goodman on Fifth Ave.